The Las Vegas Valley is heading into more hot and humid weather with a chance for thunderstorms in the middle of the week. 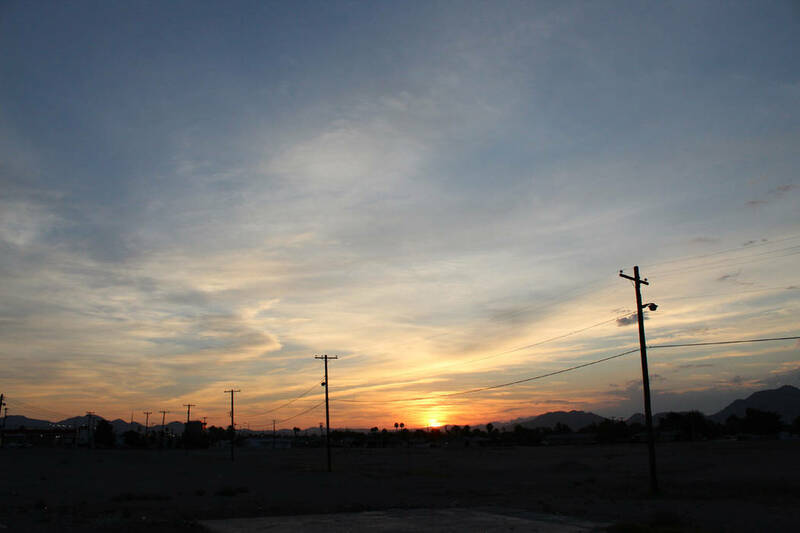 Monday will be mostly sunny with a high near 106 degrees, the National Weather Service said. Tuesday’s high should also reach 106. Storm clouds will start to roll in Tuesday night, and Wednesday will see a 20 percent chance for rain and thunderstorms in the afternoon that will last through Thursday and Friday, the weather service said. Highs will dip down to 104 on Wednesday and Thursday, the weather said, but temperatures will start climbing again with a high near 106 on Friday. The weekend should stay hot and sunny with highs near 107 for Saturday and Sunday, the weather service said. Contact Max Michor at mmichor@reviewjournal.com or 702-383-6239. Follow @MaxMichor on Twitter.